What is the Most Common Men's Ring Size? What is the Most Common Men’s Ring Size? Looking to buy a ring for yourself or a special man in your life? Besides knowing their style preferences and the amount you want to spend on the ring, the next important factor to consider is their ring size. 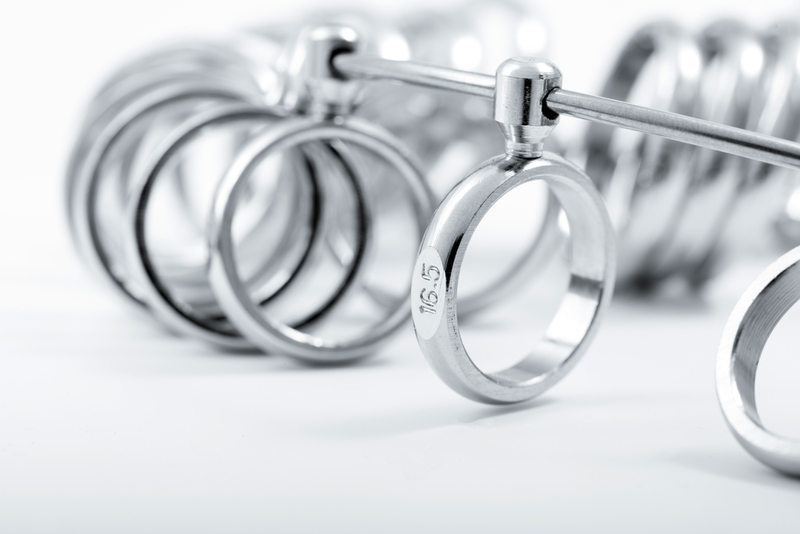 Ensuring the right ring size is important for both comfort and loss prevention. Luckily, uncovering his ideal size is easier than you may think. Before you learn how to measure his ring finger, it’s important to learn the most common men’s ring size and get a better understanding of the basics of sizing in general. 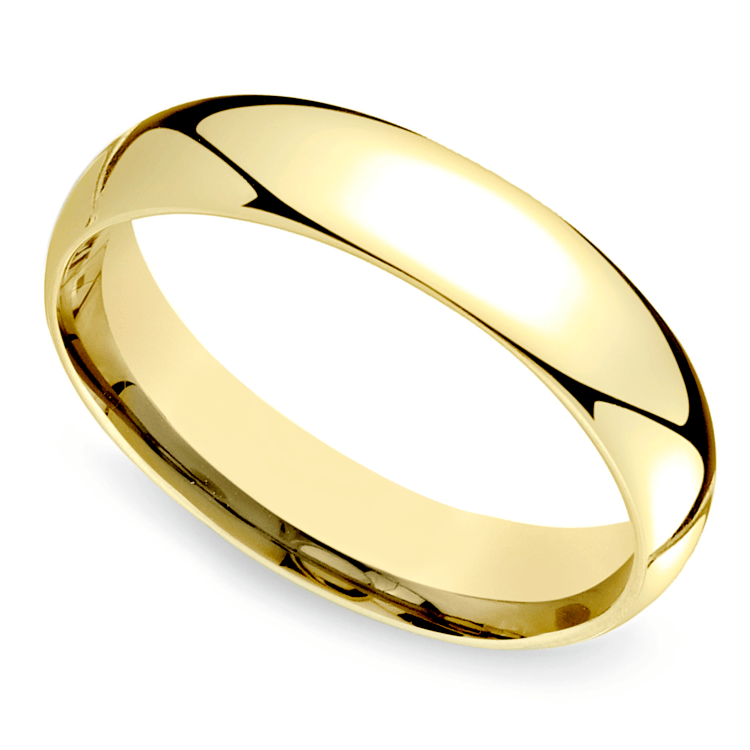 In the U.S., the most common men’s ring size is 10, which translates to around 19.8 millimeters in diameter. But men’s ring sizes can vary from size 6 to 20, so how do you know what size to order for your ring? For that matter, are all rings sized in the same way? The answer is, unfortunately, no. Men’s ring sizes and how they are measured vary from country to country. While you may wear one size in the U.K., your sizing in the states may be completely different. Thankfully, though, conversion charts are available to ensure you order the right size regardless of which country the ring was sized in. 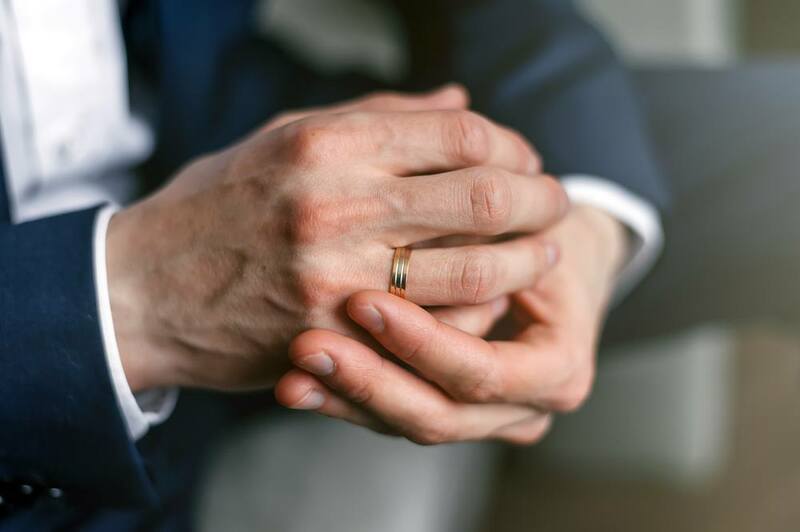 When you’re hunting for the perfect ring for an engagement or wedding band for the man in your life, there are a few ways to ensure accuracy. Firstly, check if the jeweler offers a ring sizing guide to get an idea of what country’s sizing standard they use. Then, as long as the ring isn’t a surprise (like a Mangagement ring), the easiest solution is to just ask your significant other for his size or use a size gauge to accurately measure his ring size. Shopping in store? All jewelers have ring sizers that men can use to find their ideal ring size. These nifty gadgets are just plain rings that he will try on to uncover his size. The ring needs to slide over his knuckle with ease but not have too much mobility on the base of the finger. You want a semi-loose fit, but the ring shouldn’t flop around on his finger. Online stores—like Brilliance!—offer another way to measure the finger: a printable tape measure. To find his exact ring size, print out our ring size chart, which includes a convenient cutout sizer. Just wrap the sizer around his finger to discover his size. If the ring is a surprise, you may need to be stealthy. If he already wears a ring, use it to find the size for a wedding band. You can also print out a ring size guide that allows you (or him) to place the ring on a grid to discover his correct ring size. If all else fails, there’s no harm in guessing your special man’s ring size. Don’t put too much pressure on yourself when it comes to selecting the right size. Thankfully, most jewelers will resize your ring if you guess wrong! Implement one of these strategies to determine the perfect ring size for the man in your life. Then, bring this information to the jeweler so you can select a ring that will fit perfectly on his finger. Keep in mind that fingers tend to swell as the day goes on, so measure as late in the day as possible to ensure you don’t buy a ring that’s a good fit in the morning, but too tight in the evening. Two rings that are the exact same size may look or fit slightly different. This isn’t your mind playing tricks on you. It’s most likely because of a difference in width, shape, or metal. The width of a ring doesn’t affect its diameter or size, but it will affect how it looks on the finger. The wider the band, the shorter a finger may appear. 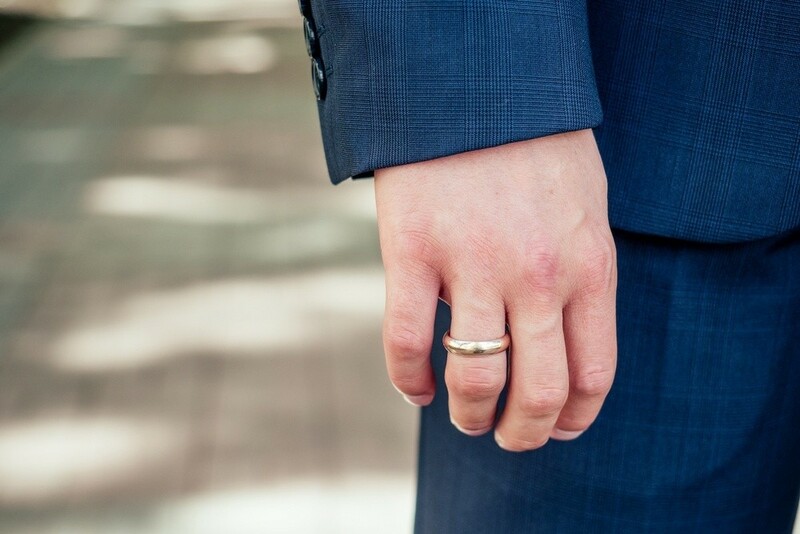 For men who typically have bigger hands and longer fingers, wider bands may be a great choice. However, if his hands are smaller or his fingers are shorter, a wider band may not be appealing. And, of course, he may not like a thicker band. Some men find thicker bands uncomfortable and restricting, whereas others don’t notice a difference at all. The average ring size for men is 10, but the average men’s ring width is 6 millimeters. He may want a wider statement, or he may decide to go thinner. Width depends on preference, style, and hand size. Bands can be domed (also known as “comfort fit”), seemingly squared off or flat. The domed band is the most classic shape and is designed with a rounded interior to release some of the pressure that is typically applied onto the finger. The domed shape is perfect for men who work with their hands and may need to quickly remove their ring in the event of an emergency. However, flat or square bands are more modern choices. Some flat bands may also feature a rounded edge for a hybrid design. The color of the metal obviously doesn’t affect how a ring fits, but it will affect how the ring looks on the hand. 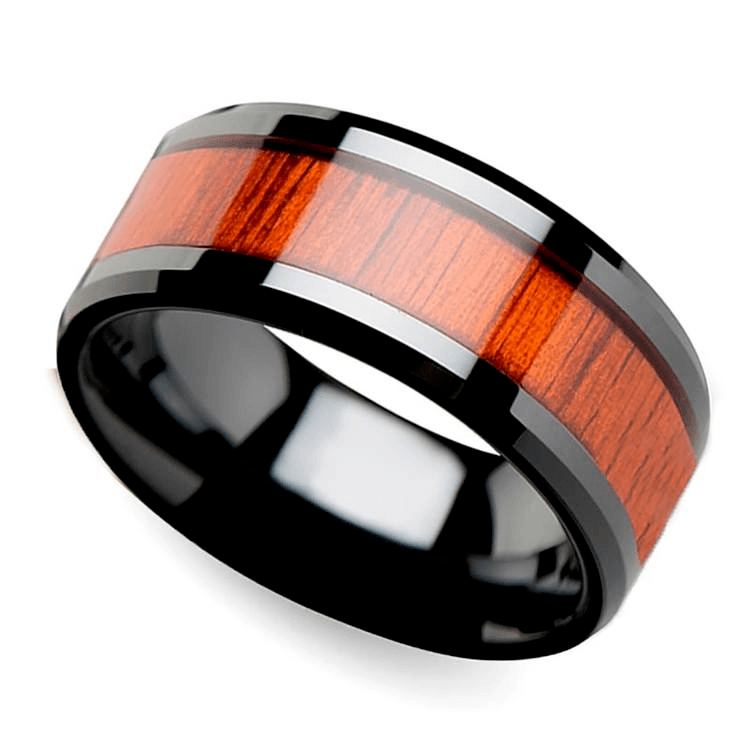 Dark rings stand out on the hand; so a ring made out of a material like black ceramic is going to look much more striking than a muted hue. Since it’s more noticeable, it may appear larger when worn. Certain metals hues may also look better with his complexion, or he may just like the look of a certain metal better than another. 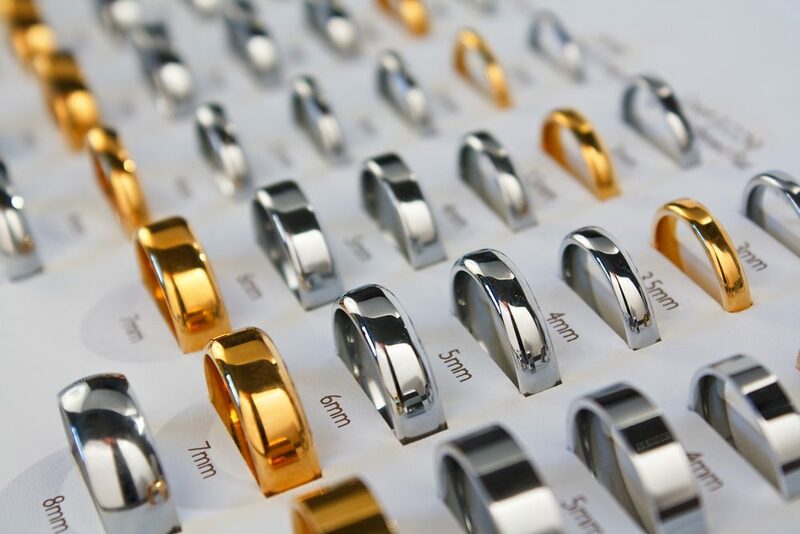 Warm gold metals like yellow gold or rose gold may flatter warmer undertones, while light metals like platinum, white gold, silver or palladium may flatter cooler complexions. Keep this in mind when choosing the right ring for the man in your life. While 10 is the most common ring size in the U.S., it’s important to remember no two hands are alike, which means do a little investigation to make sure your ring fits you on your significant other’s finger! And remember, “size” is just one factor when it comes to picking a ring! You should also take into account width, which may affect how a ring looks on the hand and other style elements such as the shape and metal.